Wike urges army to partner police in crime fightin – Royal Times of Nigeria. Governor Nyesom Wike of Rivers state has called on the Army to form a synergy with the police in tackling crime, particularly kidnapping. Wike made the call when Minister of Defence, retired Brig.-Gen. Mansur Dan-Ali paid him a courtesy visit in Port Harcourt on Thursday. The governor called on the army to also work with the police in the fight against cultism and other social vices in Rivers. He noted that such collaboration would help in promoting security across the country. 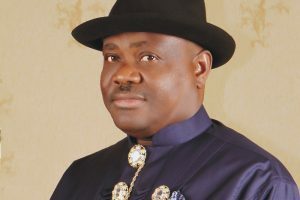 Wike promised the security agencies that the state government would continue to provide logistics and financial support to enable them to discharge their functions professionally. “I want to urge the Nigerian Army to support the police to tackle kidnapping and enhance security, it is also necessary that you assist the police to weed out cultists. ‘’They are beginning to rear their ugly heads to trouble peace loving residents of the state,” Wike added. The governor stressed that the state had not experienced any major vandalism of oil pipelines due to the security programmes put in place by the government. Wike said his administration would improve on areas of collaboration with the Nigerian Army to enthrone better security system in Rivers. Responding, Dan-Ali thanked the governor for his assistance to the security agencies. The minister pledged that the Federal Government would continue to invest in improving the security situation of Nigeria. He stressed that investments in security by the Federal Government had resulted in the reduction of crime in the Niger Delta region. The minister was accompanied by the Chief of Army Staff, Lt.-Gen. Tukur Buratai, the General Officer Commanding 6 Division, Maj.- Gen. Okon Udoh, among others.